Living on a constantly changing and evolving planet, unravelling the past is not an easy task as resurfacing, erosion and continental drift continuously eradicates what has gone before. Even after the last remaining “White Areas” on our maps of the Earth’s land masses had been filled in about a century ago, great discoveries that would change our perception of our planet were made as technology made them possible. It is perhaps hard to imagine, but only a little more than 50 years ago, the Ocean depths were in main completely unknown. 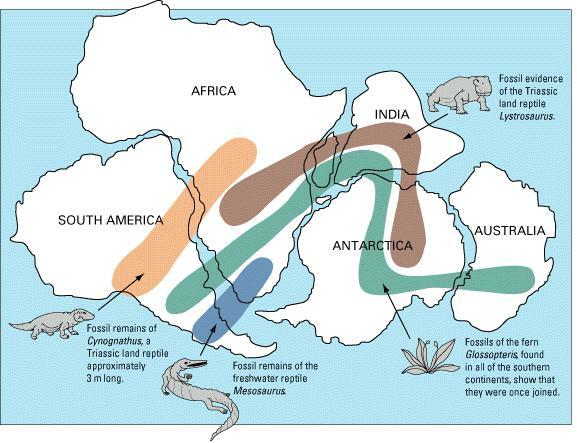 When the German meteorologist, geologist and astronomer Alfred Wegener put forward his hypothesis of continental drift in 1912, such was our lack of knowledge about our own planet that half a century would pass before proof that would ultimately confirm it was found. In the early 1950s, paleomagnetism was recognised a new (branch of) science and by early 1953, samples taken from India showed that the country had previously been in the Southern hemisphere as predicted by Wegener. Even without the great advances in knowledge that the Space Age would bring, the theory had enough supporting data that opinions were starting to change, and in 1964, the Royal Society held a symposium on the subject. Wegener had been proven correct. The Space Age and the Cold War surveillance technologies that were developed as a result were to bring the next great step in our understanding of our planet. As late as the 1960s, it was generally assumed that volcanic eruptions such as those of Thera (~3.65 kA BP), Vesuvius (79 AD/CE) and Krakatoa (1883) represented an upper limit in volcanic ferocity. 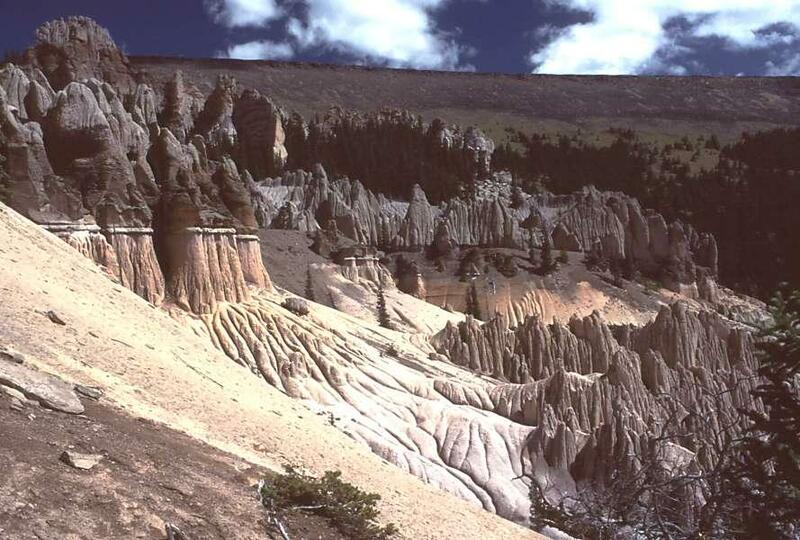 However, geologists had long known that Yellowstone National Park was volcanic in nature, but “where was the volcano”? It was not until high-altitude reconnaissance photographs became available that the realisation dawned – Yellowstone was the volcano and one on a scale hitherto not imagined. From this realisation, the discovery or identification of yet more of these gigantic systems became inevitable. Satellite imagery of the Snake River plain revealed that the volcano had been active in different locations for at least 14 million years and might possibly be interconnected with the Columbia River Flood Basalts 17 MY BP. Further advances in technology, primarily those of computing power, allowed images of subducting continental slabs to be made from earthquake data points. Another technique developed was that of “earthquake tomography” where the times at which earthquakes arrive at an array of seismic stations is compared with a model of propagation and the difference between expected and actual arrival together with the path taken by the seismic shock waves can be used to form a “picture” of what lies underneath a given location. Areas where the shockwave propagation is slower than through solid rock indicates possible locations of bodies of molten or semi-molten rock, i.e. magma. Today, such maps can be produced by a skilled amateur given access to data and the appropriate software as proven by our own GeoLurking or DownUnder to name but two. Today, the terms “supervolcano” and “supereruption” have begun to gain wide acceptance. On the established albeit inaccurate VEI-scale, supervolcanoes are volcanoes that are capable of a VEI 7 or VEI 8 supereruption. If the measurement of volume DRE – Dense Rock Equivalent – is applied, a VEI 7 eruption falls into the interval between 100 and 999 cubic kilometres of erupted material whereas in a VEI 8 eruption, between 1,000 and 9,999 cubic km DRE is erupted. What the VEI scale does not consider is time. Volume-wise, the greatest eruptions known on Earth are the Flood Basalt eruptions where several million cubic kilometres are erupted, mainly effusively, but over a scale of millions of years leading to a measly annual average of 1 – 3 km3, a rate achieved by the 2014-5 Bardarbunga/Holuhraun eruption. Certainly, within those million-plus years timeframes, there have been periods of much greater effusion of magma, but the fact remains that even the largest of known Flood Basalt eruptions such as the Siberian Traps (approximately 250 MY BP) are relatively speaking gentle if prolonged affairs with serious effects on both biosphere and ecology. Gentle, at least in comparison to the greatest of explosive eruptions. The WikiPedia article for supervolcano claims “The eight eruptions at the Paraná and Etendeka traps during the Cretaceous period when taken together were well over 15,000 km³, and may have been a single event that was the largest explosion during the Phanerozoic Eon, but there have been no confirmed VEI 9 eruptions.” Is this observation accurate? Could it not be that we have not looked in the right place yet? More than a year ago, Carl and myself had a very interesting discussion over a couple of beers or four, on the very same day that the seismic crisis at Bardarbunga broke that would lead to the eruption a week or so later. In this discussion, we talked about the geological anomaly of northern Fennoscandia; the Kola peninsula in general and the Kiruna Mine in Northern Sweden in particular. Northern Fennoscandia is rich in economically and strategically important metals such as Tungsten/Wolfram where one of two known sources lies on the Kola Peninsula (the other lies in South Africa and as it was not until DU – Depleted Uranium – had been developed as a tank gun penetrator that the strategic importance of the South African mines began to diminish). There are the Nickel mines of Petangi, formerly Petsamo, an important constituent of armour plates for well over a century. At Outokumpu, Finland, lies an important mine of chromium, also used in armour but mostly known as the shiny part on car bumpers and a constituent of stainless steel. In Sweden, you have the Skellefteå Field with large finds of gold and there are also large deposits of Uranium that are not being mined. But the incomparable centrepiece is the the Kirunavaara – Luossavara Iron deposit in northern Sweden. The Kiruna Iron ore body is different from every other known Iron deposit on Earth, in sheer volume, composition and origin. The dimensions of the body of ore are 4 kilometres (2.5 mi) long, 80 metres (260 ft) to 120 metres (390 ft) thick and reaching a depth of up to 2 kilometres (1.2 mi). This mine alone could supply mankind’s needs of Iron for well over a thousand years even if there was no recycling or iron mined anywhere else in the World. It was indeed of such strategic importance that it blinded both British and French strategists during the first year of the Second World War as they, erroneously, considered that depriving Germany of access to the Swedish ore would cripple the German war effort and, hopefully, force a negotiated peace settlement. Leaving history behind, where other deposits are thought to be the result of microbial action in the primordial oceans of Earth which deposited iron oxides on the ocean floor, the Kiruna deposit can only have come from the Earth’s core and is the result of what Carl terms “a Core Plume”. As the iron body consists of an average of 60% Iron, which in some locations reach up to 78% or more, this effectively excludes any other origin (according to Carl). So what forces would have been involved to hurl a fragment of the core of our planet to the surface some 1.88 – 1.9 GY BP? One rather inescapable conclusion is “immense”. It would certainly dwarf any other identified eruption into insignificance, especially if there is a connection with the other unusual mineral deposits of Northern Fennoscandia. Here, the term “Hypereruption” is definitely justifiable. Great article though. Thanks Henrik. It does ask a question though (I hope)? Once “we” thought that what we today recognise as ~VEI 6 represented an upper limit. New technology and the investigations/answers this enabled led us to realise that there were eruptions ~100 times greater. But is that really the limit, or…? I particularly like that you brought the hyper eruption topic back up. The evidence for it being a core-mantle plume is probably the best of any example. The purity of the ore is well up there, and approaches that which is only believed to exist in the core. I think that Carl posted a pic at one time from inside the mine showing a finger of the magma body had meta-morphed the country rock that it went through. Magmatic origin for Kiruna is still controversial, you can argue for chemical processes & hydrothemal activity in a deep confined basin, or even regular magmatic differentiate. To be honest I´ve seen probably close to a 33-33-33 split with all sides pointing out holes in each others theories. Lots of fun to debate over a mug of ones favorite quaff. Indeed! It all comes down to which impossible thing you prefer to believe in – a) that something was powerful enough to dredge up the iron from the core, or b) that commonly observed crustal processes resulted in a for those processes impossibly high degree of enrichment of iron. Either way, we can safely say that here is a phenomenon we do not know enough about to explain with any degree of certainty. On a lighter note, I figure you’se all might appreciate the google sheep view blog. Dredging up solid iron from the core is difficult. The density of iron is about twice that the silicate in the mantle. Mantle plumes rise because they have higher temperatures and therefore lower densities than the surrounding rock. Iron is so much more dense that this doesn’t work well: it is always much denser and thus will sink, not rise. There is some evidence from Hawaii of a small amount of core material, adding perhaps 1% to the normal iron content of the mantle. Pyrolite is a possible mineral to do thi: it incorporates some FeO in the SiO/MgO material, and has a density quite comparable to that of rock. But the iron fraction is small, while the 60% quoted for Kiruna (I remember that number from Carl) is a very high fraction. You would need to bring the pyrolite to some depth where it melts, and let the iron freeze out. Keep it going for a long long time, and finally erode away as much as needed of the 10-20km of rock above it. But if you need this slow enrichment anyway, do you still need to bring iron up from the core? Can it be done with the normal 1% iron content of the crust/mantle? The biggest eruption we know about is supposed to be Ontong Java Plateau which covered something like 1% of the surface of the Earth. Up to 78%. As I replied to Cabrageo above, here is our conundrum: a) that something was powerful enough to dredge up the iron from the core, or b) that commonly observed crustal processes resulted in a for those processes impossibly high degree of enrichment of iron. Either way, we can safely say that here is a phenomenon we do not know enough about to explain with any degree of certainty. I wouldn’t say impossible levels of enrichment, Carajás averages 65% grade, and is pretty straightforward enrichment of chemical sediment. Though to get this kind of grade, both hydrothermal and supergene alteration have been involved. Could a bolus of core have been ejected by an impactor on the diametrically opposite side of the planet? No. The outer core is liquid and the waves that travel into the earth can’t pass through liquid, only through solids. They reflect of the core. The result is that the far side of the core is shielded from these waves. There are waves that travel around the earth and come together at the opposite point, but that affects the crust, not the core. So the crust can fracture, but the lower mantle/core is not affected. Perhaps Kiruna is a rebound droplet of liquid core following an impactor – a Rayleigh jet or Worthington jet ? That is an interesting idea. The central peaks of impact craters are formed in this way. The core-mantle boundary is a few thousand kilometer away: the sound wave traveling through the rock is spread out over a large area and has a much reduced energy density. The incoming rock brings an energy about equal to its mass over the radius of the earth. To bring core iron up requires an energy of the iron mass over the core radius (assuming that most of the earth mass is in the core. About half the energy is recovered by having an equal amount of silicate going down and this cancels the difference in core and earth radius). An impactor of 20 cubic kilometre (which would form a crater 400 km across) could bring up its own mass in iron. But only a small fraction of the energy is available. Much of the impactor’s energy goes into melting and vaporizing rock. Of the rest, if say you need to reach an area of the core-mantle boundary 100 km squared, only about 1% reaches this area. So even assuming high efficiency, only something like 0.1% of the impactor’s mass could be brought up to the crust. In reality, there isn’t an obvious process to make the iron rise up that far. Heating the crust is more likely to make mantle convection in the area stop, as convection requires a cool top. Its is notable though that the South Africa mineral riches of the Rand are also located near a very large impact crater with a very similar age. Although the crater seems to be slightly younger than the minerals. Akk! You brought back memories of Cal Worthington! On my way there I got to thinking about that Famous Personage we all know so well at this time of year. He lives up there under the Northern Lights and already having discovered that Rudolph , Blitzen et Al are actually females of the specie Rangifer tarandus I pondered on his amazing ability of travelling round the world, to every country in around 6 hours. Scientifically impossible I thought. WRONG again! This is very interesting article taken from the wiki articles that discuss some of this stuff. Personally? I think that large trap events have been mischaracterized as being only effusive. That’s not to say that they weren’t predominantly effusive, but we can look to modern volcanology and infer a few things. 1. If you get a ridiculous supply of magma / heat into fresh crust, you will get large-scale volcanism. Any time you mix those two, you end up with supervolcanoes and large-scale silicic eruptions. New Zealand and Southern Japan are likely the two best current examples of this, and they aren’t close to the rate of magmatic production we saw in large trap locations. 2. Some arguments against this are that we haven’t seen the evidence in places like the Siberian traps for eruptions like this. Personally, I just feel we haven’t found it quite yet (and if you look to other flood basalt provinces like Parana Etendaka, or Afro-Arabia, you’ll notice we HAVE found evidence of eruptions like this. Generally speaking, if you want to hide evidence of a geological event having occurred, your best bet is to bury it under thousands of meters of basalt. So even if there were massive past eruptions in provinces like the Siberian Traps, we simply may not see the evidence since it was all possibly buried by the massive lava flows occurring there. 3. As Henrik mentioned, the magma effusion rate in these provinces was enormous, but if we were to put this on a volcanic scale, the rate isn’t actually all THAT much more per year when compared to Iceland. Given, we don’t know the gas content of these traps, but it’s still a tough sell to think that something like this would induce one of the world’s largest extinction events by itself. Now, if you combine this with concurrent super-eruptions, there may be a different argument to be had, especially considering that a super-eruption would be a better mechanism for distributing SO2 around the globe (which would impact the environment, and leach into the ocean, causing anoxic blooms). 4. We’re finding more evidence of volcanic provinces similar to trap events that are predominantly silicic. In other words, instead of a flood basalt event, you get a series of hyperactive explosive volcanism. The Taupo Volcanic Zone in New Zealand is technically a developing Silicic Large Igneous Province, although it can’t compare to other ancient zones like the Whitsunday province. So we know that this is a “thing” at the bare minimum. Any thoughts on Etna? It’s had a 1km fountain and the seismic signal is now looking…interesting. We might be in for more than a paroxysm? GL Edit: Your comment went to “pending” and was released on the idea that maybe you will “play nice” this time around. Being nice is Carl’s #1 guideline on this blog. Abide by that and you will likely not wind up in the doghouse again. Thank you ,very much appreciated. Tremor still rising – impressive! Just read back over the NDVP #1 on Ioto. The scenario is right out of a disaster movie and I don’t mean the fictionalization in the text. Can you imagine if Yellowstone was doing that, or if a comet with roughly that destructive potential had similar odds of happening? My main question is…who else has a Crater Lake-scale caldera blast ~ 700 BCE? 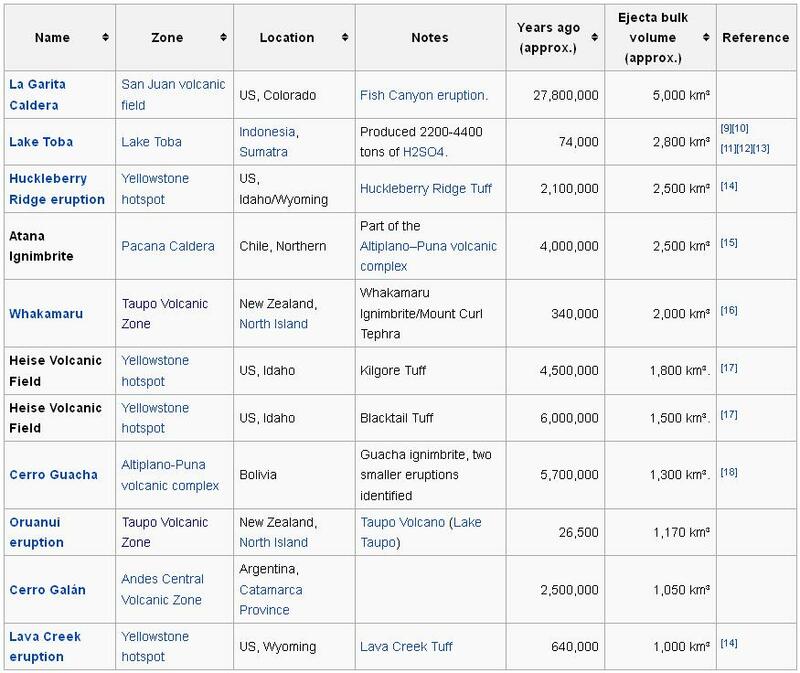 I’ve never seen such an event on a “missing” eruptions list. You refer to Greenland and Antarctic ice cores? Very good observation as such a large eruption really ought to have left traces there. Somewhere, on my pc, I have some so2 data from the ice core record, I can poke around tomorrow to see if I can find it. Failing that, it is in one of my previous plots if you wish to dig around for it. It might even be in ruminerian V.
One thing to consider, is that the quantity of seawater involved may have acted to mitigate the SO2 before it could become airborne… or that the emission rate was low enough to to allow it to be scavenged from the atmosphere by normal processes. Personally, I would have expected an increase in the overall deposition rate in at least one of the records. I presume there are isotopic grounds that rule out an extraterrestrial origin? This couldn’t be the mangled and half-metamorphosed remains of a 2 billion year old meteorite impact? So mangled that the only ‘signature’ left is the local concentration of iron? You’re thinking Sudbury, Ontario, which is tantalisingly close in time as it is dated to 1.85 GY (a mere 30 to 50 million years later and well within the margin of error for any dating technique)? There are plenty of telltales left behind from an asteroid strike such as the astrobleme itself, deep magnetic and geological anomalies, brecciated rock, shocked quartz et.c., all of which seem to be lacking at Kiruna although I admit I have not seen a scientific paper that categorically states this. If you read through the paper linked at the bottom of the article, there is plenty of evidence presented for a volcanic origin. But I like the idea as it, just like the core plume and anomalous hydrothermal enrichment explanations for its origin, requires something outside of our current ken. 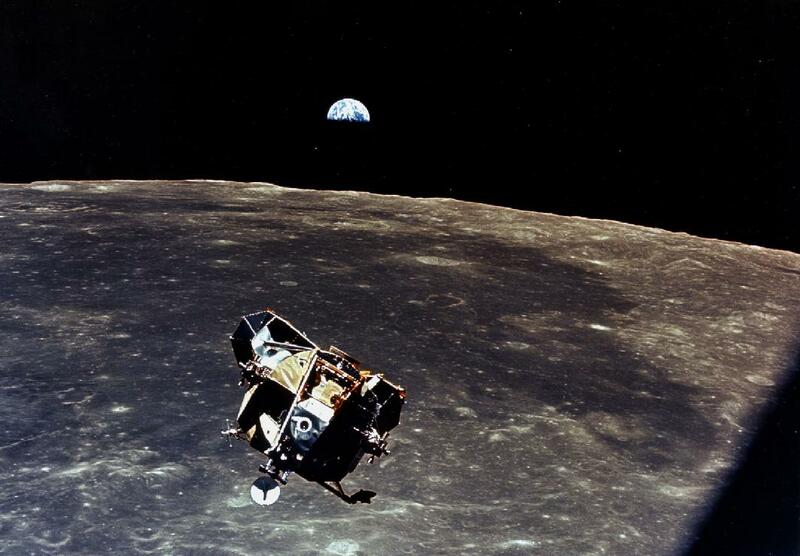 A Friday evening question as I linger, ruminating, in the ewesome VolcanoCafe bar – who exactly took the Earthrise photo at top of this article? Thanks Oruanui – I am so familiar with the photo named “Earthrise” from Apollo 8 mission, and my quick search kept bringing up the same. What a great site – Astronomy Photo of the Day – bookmarked! Thanks for the fascinating post Henrik. 🙂 Still lots of unknowns about the extra large eruptions from the past. The Kiruna deposit is fascinating. 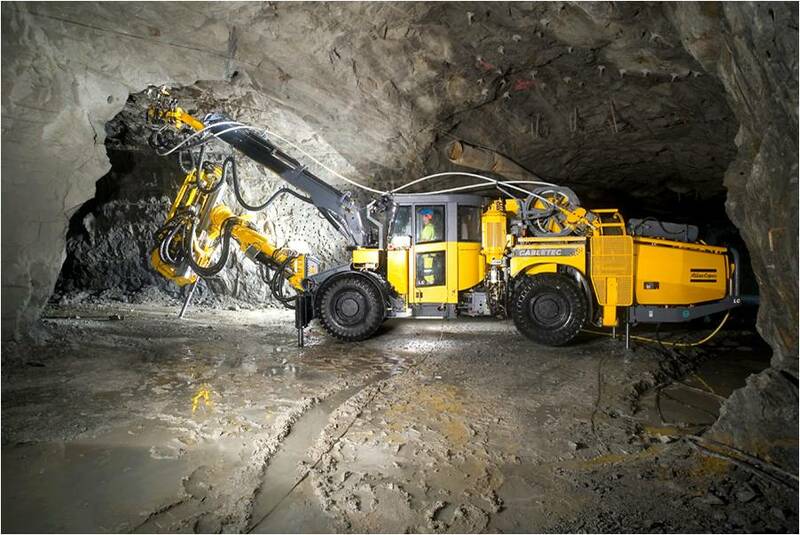 I would not want to be operating a driller/ loader at 1 km depth but I guess there is plenty of ore at shallower depths. Impressive and tremor data suggests that the eruption is not over by any means. I made a short timelapse of this afternoons Etna eruption using the weblink above. No sound or music attached. Thanks Virtual for the great time lapse video. Long time no see you on this site. A question should i book a trip to etna right now, or is this just short lived. Boris? Any idea how long this series of paroxysm’s will last? Dunno if I would center it all around just Etna, Catania has some decent clubs. Just be wary of that dog down around the warfs, last time I saw him he had a sailor treed on a light post. Earlier in the evening he had bitten our van. Well, I can say with some authority that the dog I mentioned is quite impressive… and aggressive. Eventhough i solved a couple of friday riddles, i don’t like riddles nor dogs. care to elaborate? Tremor *still* rising, and thats a log scale on their site… And seems to be hot spots popping up all over. This doesn’t look like the typical Etna events I remember. Hope it calms down soon. Anybody have any inflation figures for last few days? Etna is a strange volcano. In a lot of ways, it is a complete outlier compared to most volcanoes around the world I wish I could understand it better. Years ago Boris B. produced a pretty comprehensive 3-part series on the history and tectonics of Etna in Erik’s ‘Eruptions’ blog, and they should still be accessible somewhere in the archives, if you have time to dig around. That is terrific! Thank you for posting this link, which I had not seen before. Especially the bit about the flank collapse 9000 years ago. The reason I am so impressed is there are questions around history and migration in Sardinia which was completely depopulated of people more closely linked genetically to Libya, later replaced by people from Italy and France. Empty stone buildings of that era remain. After looking at the simulation of the tsunami threat it would seem that this is the reason for the sudden depopulation. Museums in Sardinia had no idea why the civilization ended so abruptly when it did. Hmmm maybe not….. Etna is facing the other way… There must be another culprit for Sardinia’s depopulation at that time. It is registered just before 08.00 wide spread over Iceland and appears to be most clear on the Svartarkot, Askja, Skrokalda, Melhnausar plots. It hasn’t the normal earthquake shape but more long, it takes 5 minutes to die out. What could cause such signal? It is not in the IMO earthquakes table (yet). Maybe the big quake in tajikistan ? what’s the time lag for that ? Yes maybe… 7:50 UTC. 10 minutes – 6000 km as the crow flies … quite fast I would think, but I don’t know much about p-wave travel. A quick calculation shows that the numbers are consistent. I entered the coordinates for the quake and coordinates for somewhere in the middle of Iceland into an online distance calculator. It turned out to be 6260km, which is close to the radius of the earth. The angle between the points as seen from the center of the earth is approximately one radian. Placing the two points on a circle and drawing a straight line between them gives the distance that P-waves have to travel through the crust, 5700km. This gives an average speed of 9.5km/s. The average depth of the straight line is 500km. Looking at the wikipedia page for P-waves, there is a diagram showing velocity as a function of depth. At 500km depth, the speed of P-waves seems to be around 9.5km/s. Seems I made a small error. Distance should be 5950km and average speed 9.9km/s. It’s still in the right ballpark though. Actual trajectory would not be the straight line, since it is actually a bit faster for the P-waves to take a curved path deeper in the crust. I’m still convinced that what we see on the plots is in fact the Tajikistan quake. But when it is, how come it is registered better (lets say) along the nrz compared to elsewhere in Iceland? You will need to convert the distance into angular measure, then you can poke around in the travel time tables to find out how long of a delay before a particular phase arrives at the seismo. USGS used to put a link to the expected travel times on each event page, but governments being what they are, they no longer do that. Actually, this data is estimated using the MMI values for geographic areas and then applying a population density function that works in the frailty of the buildings in that area. It builds upon the “Did You Feel It” paper by Atkinson-Wald. More info here. Etna today, a gorgeous orange and pink afternoon. Thanks Virtual. Nice one. Interesting watching the movement of humans. Unbelievably when engulfed in noxious clouds the sightseers still seem to continue upwards!!! I am sure more went up than came down!!!! I recognise that track. It looks like a relatively easy walk from there to the the vicinity of the summit doesn’t it? Unless you’re an athlete with massive lungs and spring-steel legs (you know who you are! 😀 ) there’s no such thing as an easy walk at that altitude! It damn near finished me when I did it, carrying a massive movie camera… it’s not a huge height gain, but every bloody foot *hurts*! Thanks Virtual. Etna is flaming a bit right now. One needs to TURN OFF Ad block to see action! I use Explorer for that site, since I have adblock on Firefox. Ad Block allows you to turn off the blocking function for a specific site while being fully protected for other sites. On windows 7 you go to upper right hand of screen and click on octangular red sign with ADP then change status to not enabled by clicking on check mark in box. That pyroclastic flow came out of nowhere, was there a dome present? Speaking on the recent Decade Volcano Program revamp here (or the million death event idea), while Etna was not listed, it easily is a strong candidate for this type of event. Etna is not a volcano that will blow up in magnificent Pinatubo-like fashion, but the Tsunami risk from a flank collapse is immense. Etna does not have a history of notably large eruptions, but it DOES have a history of large flank collapses directed into the eastern mediterranean. And there is even current evidence of slippage on the eastern flank fault zones. East-side flank collapses have occurred multiple times in Etna’s history, and unless it completely shuts off, it will likely continue to repeat these types of collapses periodically. Were this to occur, it would 100% be a major major disaster, and possibly one of the few events that could compete with the #1 scenario of a major Ioto eruption (short of a VEI-8 eruption at least). Given, this isn’t remotely likely during our life time. With that said, it’s just something to keep in mind that a volcano doesn’t need to be particularly explosive to be a major threat. A great simulation by INGV was posted to youtube in the link below. Don’t forget that it forms as a sort of “directed” energy phenomenal… Most of the wavefront is in phase. And the size and shape of any wave approaching a coastline can be fundamentally altered by the local bathymetry. Look at the kind of waves that the French coast receives at Hossegor. They are much larger and more powerful than other relatively nearby places, because swell is being forced upwards through a submerged gorge/valley which focusses the flow of water. A tsunami hitting such a place from the right ( or more accurately, wrong) direction will be amplified. Wife just asked me if we have a nutcracker. Actually, I prefer channel locks…. Nothing wrong with that. Probably the noisiest “nutcracker” I ever used was when I palmed a walnut and smacked it over my cousins head. Didn’t have time to pick out the goodies from the shell since I was fleeing. Harmonic tremor in the area of Etna has decreased sharply as well as has summit activity. 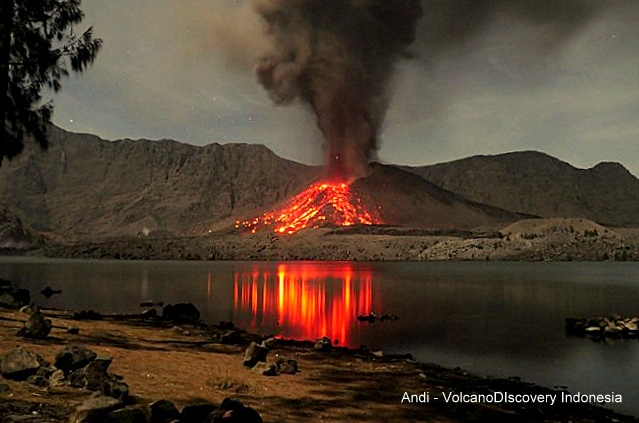 Is the eruption over or is it just a pause of its current activity? Time will tell. Hi, here a timelapse from Etna’s eruption last night between more or less 2100 and 2300. … well, at least they said “eruption” and not “collapse”. So is it a possibility that a large eruption is building? Seems to be behaving like a happy little tea kettle emitting little if any ash, just vapours. There are a few ashy looking explosions right over on he far side. Still a bit of life left in it. Well Geo you have outdone yourself with weird. lol I would not read this story to my grandchildren, for sure. Something is happening and Langjökull. Is this too shallow to be magmatic? Some background info in the abstract of the article “Fracturing and earthquake activity within the Prestahnúkur fissure swarm in the Western Volcanic Rift Zone of Iceland” by Á.R. Hjartardóttir et al. http://onlinelibrary.wiley.com/doi/10.1002/2015JB012341/full . The full article is locked. with all this warming going on around the world! could it be possible that the warming of the earths crust could cause more volcanic activity. Should we be getting ready for a traps type situation! If the amount of warming, ~1C, over the last 200 years were an issue, EQs and eruptions would follow the sunlit side of the earth, which is something on the order of ~10C, on average. so this could be true! Warmth at the crust would have zero effect on warmth miles and miles deep in the earth. Rock already is not a very good conductor of heat. There is no possible way a temperature change of 1-2 degrees would have an impact on heat miles and miles away through layers and layers of rock. And even if there was a miniscule effect, it simply wouldn’t be enough to result in any increased volcanism. Except, perhaps, indirectly. If climate warms enough so that major ice fields melt, this could cause as a minimum, “rebound” – type earthquakes. Some think that the weight of massive ice fields could be holding off major events such as eruptions. Comments? Kanlaon in the Phillippines has had an eruption. Doubt anything major will come from this – it seems to enjoy having a small eruption every 5-10 years. I heard about theories. like that. But it assumes the earth warms more than a few degrees. Before things get that bad. Global warming would have offed enough people for it to stall likely. Perhaps its a issue on Venus? Just a small side reply to the rebound topic in that I was told by a university lecturer in Glasgow that when they were excavating under the Clyde River, the material had to be defrosted. This was due to the fact it was still frozen from the last ice age. And the fact the ground is still rising by a couple of millimetres every year. Yes, that delay is correct. Heat diffuses into the ground very slowly, perhaps 20cm per day. If you heat the surface, 20cm down it won’t know about this for some time. Next time you are on a sand dune, use thermometer to measure the temperature at the surface, 5cm down, 10cm down, etc, and do this over 24 hours. You’ll find that the surface temperature follows the sun, but below the surface there is a delay (and of course the temperature change is much less). At some depth the delay will be 12 hours and the highest temperature there occurs at night. This is just because sand/soil/rock are poor heat conductors. The temperature in a cave is about the average annual temperature, because the rock underground settles at that temperature: it doesn’t respond to the night and day, or even to the seasons. If the climate changes, it takes mountains a long time to react: some still remember the ice age. Same for the layers deep inside the Greenland ice cap. Some places are warmer than others. Coal mines are warmer than the air at the surface and you can run your central heating off the water warmed from a deep borehole, as is the case in the school which had a classroom extension built under advice from the centre for alternative technology in Wales. Bath in Somerset has its thermal springs which come through hot rock so I guess it depends on the vicinity or permeability for the heat to get to the surface. The climate deep freezes after a major eruption could also in part be due to the loss of heat from under the ground as much as the blocking of sunlight and reflection back into space from particles in the air. Gaia has her cycles of climate change. Go down too far and it gets hot . The temperature increases by perhaps 10 degrees C per kilometer. The ice age memory is higher up. Percolating water can wipe out the temperature memory as well. The borehole in the class room was probably a ground source heat pump. It doesn’t use the geothermal heat but is a kind of reverse refridgerator which uses the ground, deep enough to be at a constant temperature, as a cold sink. Expensive to install but very cheap to run. They provide low heat, so the radiators wouldn’t have been very hot.